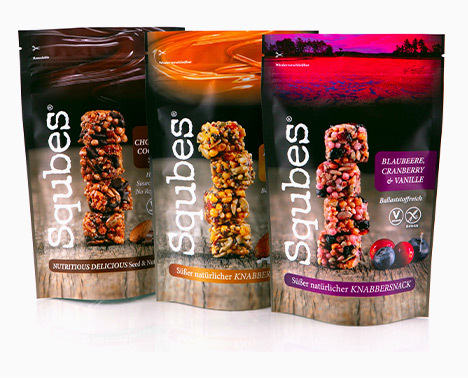 Snacking on the go is a lifestyle necessity that is growing in popularity for many consumers. 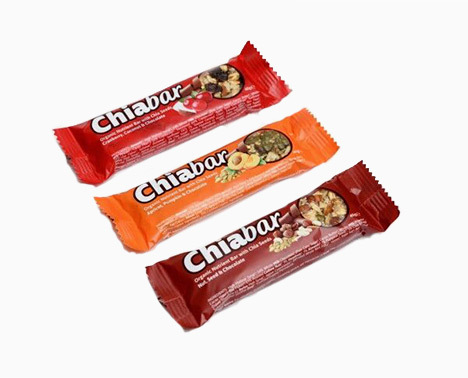 In turn an increasing number of global brands are choosing to use flexible packaging for their snack and confectionery products. 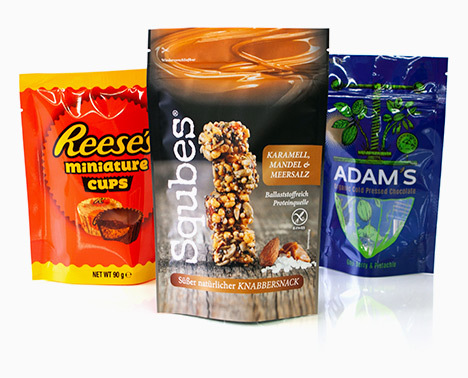 Flexible packaging offers versatility in terms of pack size and format while posing benefits such as functionality and convenience. 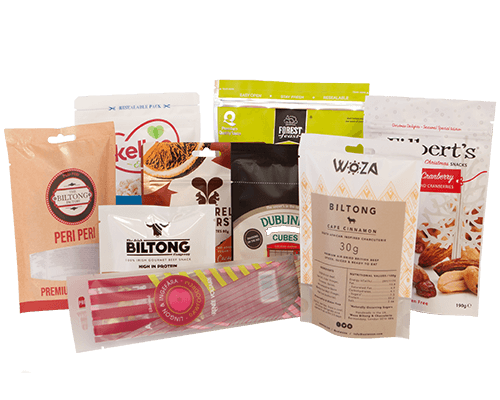 Due to the rising concern over public health, flexible packaging has allowed manufacturers to diversify their offering and brand image with the introduction of single serve and portion control pack sizes with clean, nutrition driven and informative packaging designs. 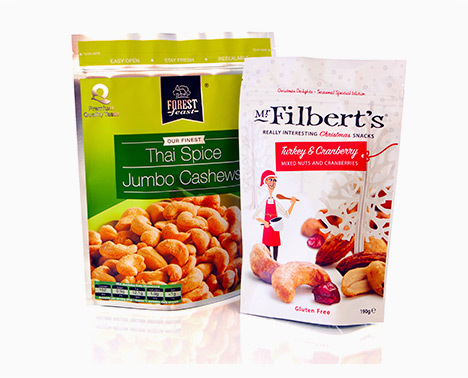 Flexible packaging provides a lightweight, easy to store packaging option for both the consumer and the producer. Choose to incorporate additional features on your pack to add convenience such as easy open tear notch, resealable zippers and hanging holes for point of sale merchandising displays. 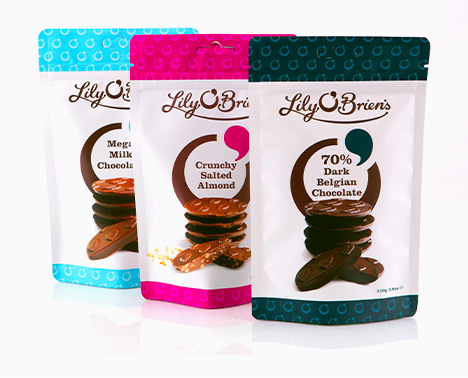 In a very competitive market, packaging can be an important differentiator for your brand. 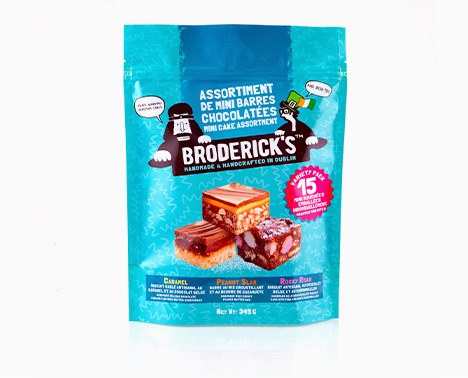 The versatility afforded by flexible packaging is the ideal fit for the snacking and confectionery sector. 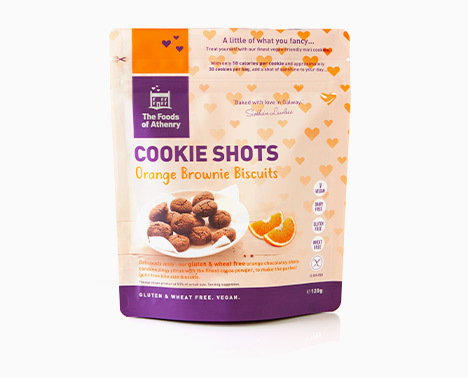 Differentiate by size by incorporating share packs or single serve portions into your product range. 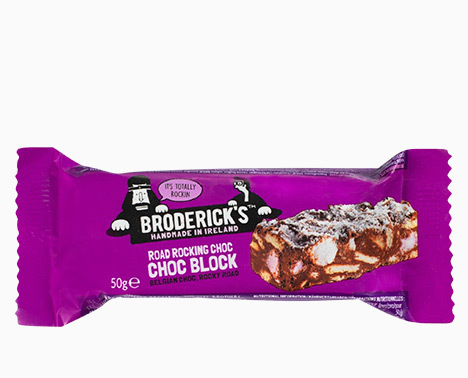 Traditionally the snack and confectionery market has been seen as one of the biggest contributors to the plastic waste problem due to single use packs and high levels of product use. 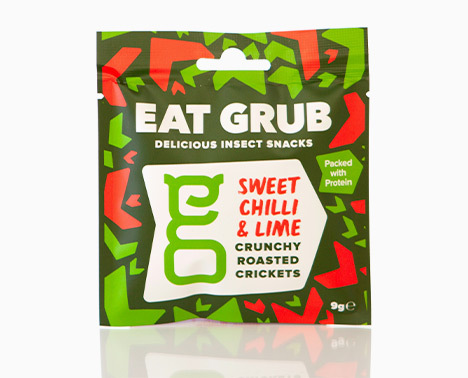 To counteract this, we have developed compostable and recyclable food grade laminates perfect for packing your snack and confectionery product. 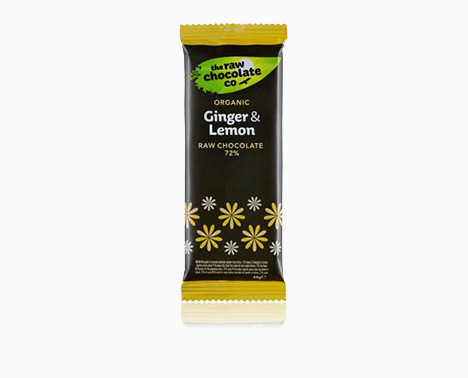 Printed film is the format of choice for confectionery manufacturers as it offers tailored product protection and freshness. We offer bespoke laminate blends tailor made for your product and shelf life requirements. 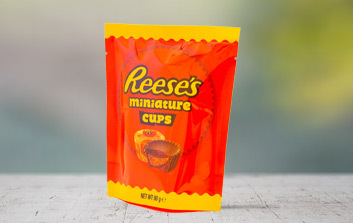 Ranging in shape and size, stand up pouches are fully customizable to your product and brand. 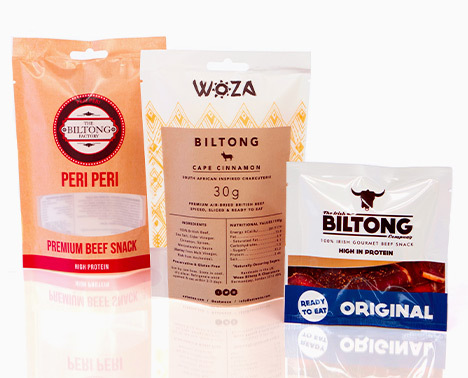 The stand-up pouch differentiates itself from more typical snack and confectionery packaging giving the consumer the impression of premium production. 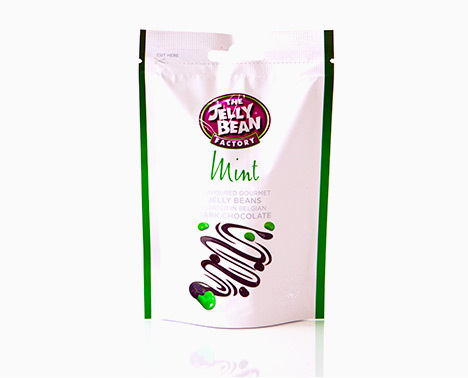 A striking packaging format that is growing in popularity among retailers, manufacturers and consumers alike. 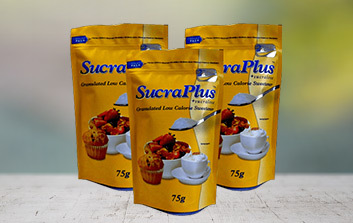 The quad seal bag is perfect for holding large volumes of product while maintaining its shape extremely well on the shelf.